The concert will begin at 6:30 p.m. Friday, April 12, in Leach Theatre of Castleman Hall, located at the corner of 10th and Main streets in Rolla. The ensembles will be directed by Dave Cress, a lecturer of music. The concert will begin with a performance by the S&T Jazz Combo, followed by the larger ensembles taking the stage at 7 p.m. 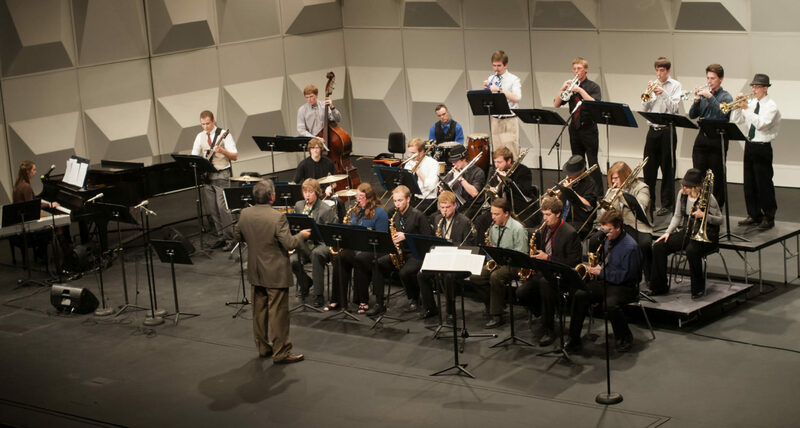 The ensembles will perform music by Chick Corea, Ella Fitzgerald, Count Basie and Mike Tomaro. The concert will also feature vocal performances by Missouri S&T students Kari Ward, a graduate student in aerospace engineering from St. Louis, and Raelynn Twohy, a junior in psychology and biological sciences from St. Peter’s, Missouri, and instrumental performances by students Drew Jacobs, a senior in ceramic engineering from St. Louis, on trombone and Shannon Klaus, a senior in computer engineering from Chesterfield, Missouri, on alto saxophone. Tickets are $5 for the public and free to youth, ages 18 and under, and to Missouri S&T students with a valid ID. Tickets can be purchased 10 a.m. to 4 p.m. Monday through Friday from the Leach Theatre Box Office, located in the vestibule inside the main entrance to Leach Theatre, facing 10th Street. Tickets can also be purchased by calling 573-341-4219.